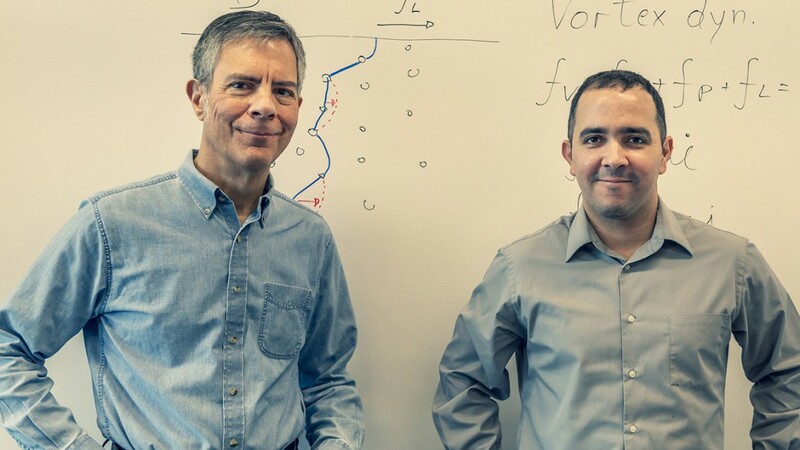 Professor James Sethna, left, and postdoctoral theorist Danilo Liarte, both members of the Center for Bright Beams, are working toward more efficient particle accelerators. Provided. Particle accelerators have been used for decades to answer questions regarding the nuclei of atoms, the smallest forms of matter. New research is helping address current challenges and develop more efficient accelerators. Currently, particles get accelerated thanks to metallic chambers known as superconducting radio-frequency cavities. These chambers, also known as RF cavities, are spaced along a particle accelerator. As a beam of particles passes through a cavity, it is hit with energy from radio waves, causing it to accelerate. However, in order for the RF cavity to be superconducting, it must be cooled with liquid helium to near zero kelvins – approximately minus 460 degrees Fahrenheit – an expensive proposition. Another problem is dissipation of energy, in the form of heat, from the radio waves. Experimentalists traditionally have been able to bypass some of the negative impacts by carefully reducing the temperature of the RF cavity to well below the superconducting threshold. While this approach works, researchers are seeking a more efficient and lasting solution. Recently, theorists and experimentalists from the Center for Bright Beams (CBB) – a multi-institution National Science Foundation Science and Technology Center led by Cornell – published research that may help enhance the theoretical framework used to model future accelerators. The ultimate goal is to simplify the refrigeration needs for RF cavities while reducing RF power losses. Postdoctoral theorist Danilo Liarte is lead author of “Vortex Dynamics and Losses Due to Pinning: Dissipation from Trapped Magnetic Flux in Resonant Superconducting Radio-Frequency Cavities,” published Nov. 27 in Physical Review Applied. Senior authors are Cornell physics professors James Sethna and Matthias Liepe, both CBB members. The material of choice for today’s accelerating cavities is niobium, which becomes superconducting at a higher temperature than any other pure metal. “Higher” is relative, though: The operating temperature is minus 456 degrees Fahrenheit, or 2 kelvins, and requires costly cryogenic equipment to cool the cavity in a bath of liquid helium. 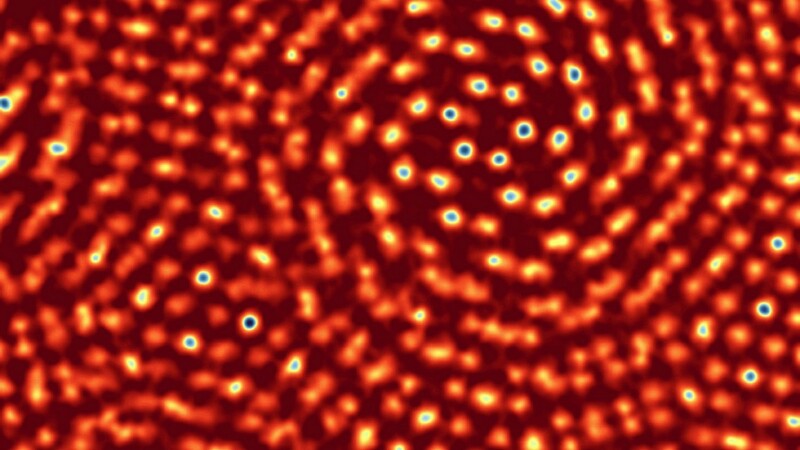 Future accelerators, Liarte said, are likely to be compound superconductors such as triniobium-tin (Nb3Sn). These compounds have better intrinsic properties than niobium and could operate at a higher superconducting temperature – minus 452 degrees Fahrenheit, or 4.2 kelvins. While this jump in temperature may seem negligible, it can drastically reduce the costs of operating SRF cavities by eliminating the need for superfluid helium refrigeration. While understanding of Nb3Sn cavities is still limited, there are certain properties that can be better understood by looking at multiple types of superconductors. 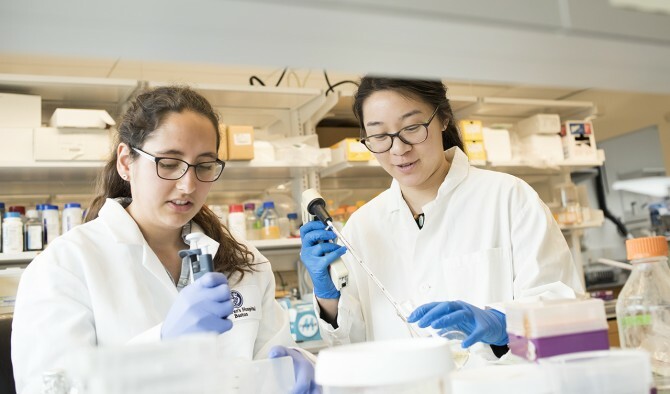 For their most recent study, the group collected data from three separate cavity treatments: niobium sprayed onto copper, Nb3Sn and niobium with impurities. Each of these materials provided insight into one of the most sought-after pieces of evidence for the negative impacts on accelerating cavities: vortex lines. Considered the “smoking gun” of superconducting cavities, these lines of errant magnetic fields within the cavity are surrounded by vortices of electrons that interfere with the desired radio waves. These vortices can get trapped within the active layer of the superconductor, creating magnetic fields that cause disarray within what should be a finely ordered system of acceleration. The vortex lines get trapped in the inevitable impurities of the cavity, the group found, and can dissipate RF power more quickly than earlier theorized. “What we have now is basically a model that explains this behavior in a quantitative and qualitative manner,” Liarte said. 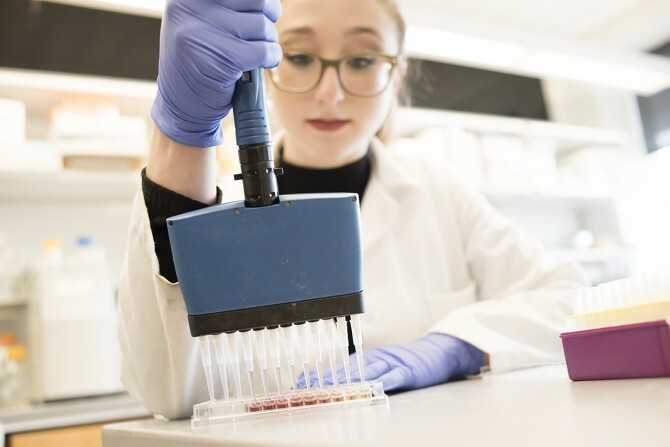 Other contributors to the study included Daniel Hall, Ph.D. ’17, from the Liepe group; doctoral student Alen Senanian from the Sethna group; and Akira Miyazaki of the European Organization for Nuclear Research (CERN) and the University of Manchester, England. This work, conducted at Cornell and CERN, was supported by the National Science Foundation and the U.S. Department of Energy. A vibroseis truck similar to this one will be on campus beginning Sept. 21 to perform a seismic survey on campus and in the towns of Ithaca and Dryden, as part of Cornell’s plans to implement Earth Source Heat. Cornell is taking the next step in pursuit of eliminating its carbon footprint over the next two decades. The seismicity project also will academically engage students on campus and at two local high schools. For the next phase of ESH research, Cornell will deploy a mobile acoustic energy source vehicle to locations on campus and in the towns of Ithaca and Dryden for seismic vibration (or “vibroseis”) surveying. A vibrating pad will apply low-frequency signals to the ground for several seconds at regular stops along the route. The vibroseis truck – known as T-Rex – will arrive at Cornell Sept. 20 and spend approximately four days surveying land under Game Farm Road (north and south from Dryden Road to Ellis Hollow Road) and Stevenson Road (east and west from Game Farm Road to Turkey Hill Road). The truck will also survey on the access road to the Cornell Teaching Dairy Barn; the road runs east and west off of Game Farm Road, which also serves as the Ithaca-Dryden town line. The surveying is to determine the site of a future test well, which will be used to further feasibility studies of ESH. While Cornell is only considering university-owned land for a potential project site, it is surveying neighboring towns’ land as it is necessary to create a wide grid for testing to provide adequate imaging of existing rock formations. The rock’s reaction to the vibration will be recorded by approximately 400 geophones, or nodes, to be set up along the survey route from Sept. 16-19. The nodes will record the acoustic reflections from rock formations hundreds of feet below the surface, allowing researchers to infer critical details about subsurface conditions. Computer processing can then use these recordings of reflected sound waves to make a picture of the subsurface. These images can reveal the geometry of the various rock layers, changes in their physical properties and whether they are disrupted by geological faults. Developed in the 1950s, vibroseis was designed to replace dangerous ways of producing ground vibrations, such as dynamite. Since the strength and frequency of the vibrations can be controlled, researchers will be able to tune T-Rex to avoid negative impacts to road surfaces or nearby structures and underground utilities. “There is generally no danger to anyone passing near the operations,” said Brown, noting that he has taken part in hundreds of such surveys and has even stood on the baseplate of a similar machine as it shook the ground. “We will have flaggers during operations on public roads to ensure that normal traffic is minimally disrupted during the operations,” he said. The mobile acoustic energy source vehicle will come from the University of Texas’ Natural Hazards Engineering Research Infrastructure. 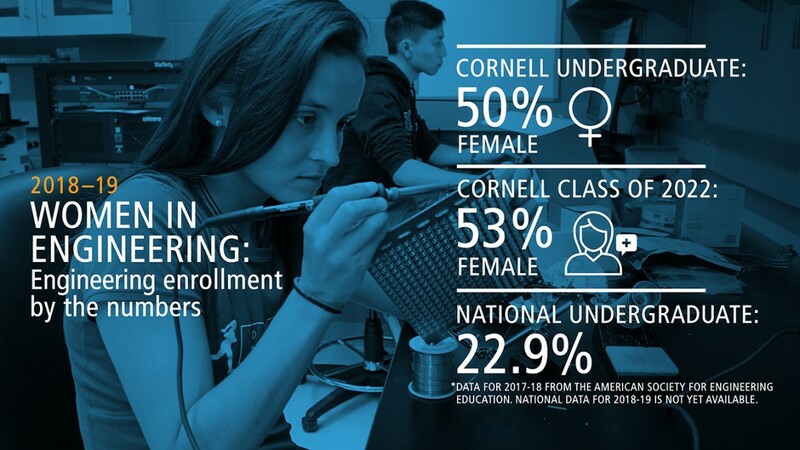 There will be an educational outreach component to this phase of ESH study: Ground motion sensors will be placed on the Cornell campus as well as at Ithaca and Dryden high schools. The T-Rex truck is also scheduled to visit the two high schools Sept. 28, Brown said. Signals from the truck’s vibrations – as well as signals from any earthquake around the world – will be picked up by these sensors and can be used by students to study any tectonic activity they indicate. An informational video and FAQ (“Exploring ESH”) are available at earthsourceheat.cornell.edu. 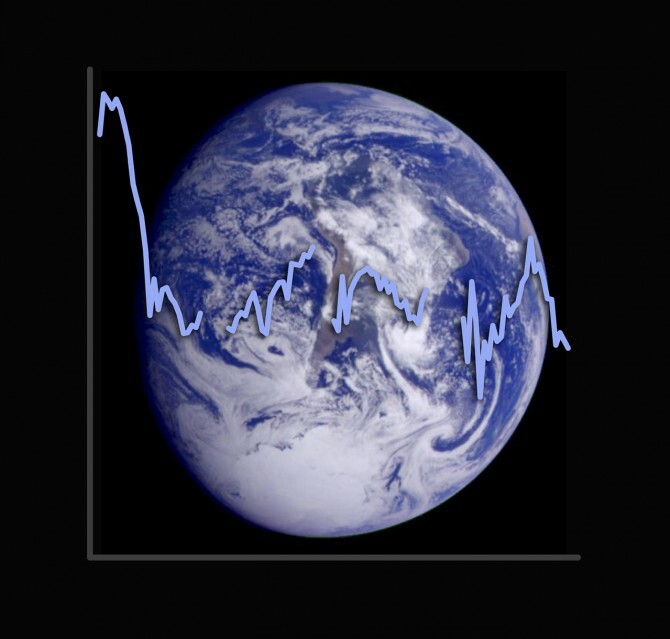 Earth with the albedo plotted over it. Jack Madden/NASA. The last data release and final official survey paper from the Arecibo Legacy Fast ALFA (ALFALFA) survey, led by Cornell astronomers, published July 2 in Astrophysical Journal Supplement. The paper marks the conclusion of a vast project that required 4,400 hours of telescope time and resulted in more than 100 papers co-authored by faculty, staff and students at Cornell. The survey was the basis of 10 Cornell doctorates and an equal number by graduate students from other universities. Among ALFALFA’s discoveries are enigmatic objects such as the nearby faint dwarf Leo P, and Leoncino, a galaxy with very little metal content. ALFALFA also identified what the researchers call an “intriguing population” of massive galaxies with unusually high percentages of their mass composed of cool hydrogen gas. ALFALFA fulfilled one of its primary goals by discovering a small population of galaxies with dark matter and gas and almost no detectable starlight. Researchers say they don’t yet understand why these galaxies haven’t turned their abundant gas into stars. Since it began in 2005, ALFALFA has detected radio emissions from cool gas in more than 30,000 galaxies. It has produced the first comprehensive census of gas-bearing galaxies up to a distance of 800 million light years from our galaxy, the Milky Way, encompassing nearly one-sixth of the sky. The survey was the first to use the Arecibo L-Band Feed Array (ALFA) radio camera on the 305-meter-diameter radio telescope at Arecibo Observatory in Puerto Rico, focusing on the frequency range that includes a spectral line emitted by neutral atomic hydrogen. Nearly every previous sky survey has been of optically, infrared- or X-ray-selected galaxies. The importance of the hydrogen, explains co-principal investigator Riccardo Giovanelli, emeritus professor of astronomy, is that gas-rich systems of low mass that have not been able to convert their cosmic material into stars – so-called dark galaxies – are optically inert because they have few or no stars but can be detected by their hydrogen signature. Data from the survey, including individual spectra, are available on the ALFALFA website and will be incorporated into the NASA Extragalactic Database. While ALFALFA discoveries have been impressive, the project’s impact on teaching and learning through the Undergraduate ALFALFA Team has been equally profound, said Haynes. 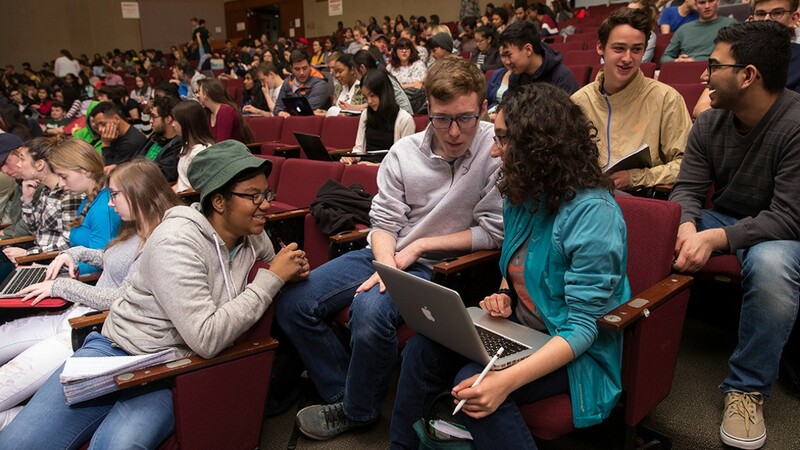 The team is a consortium of 23 mostly undergraduate colleges, for which Haynes serves as science lead. The Undergraduate ALFALFA Team’s latest project is the Arecibo Pisces-Perseus Supercluster Survey, which builds on ALFAFA data to measure the mass of the Pisces-Perseus Supercluster for the first time. A map of the Perseus-Pisces Supercluster. Co-authors of “The Arecibo Legacy Fast ALFA Survey: The ALFALFA Extragalactic Hi Source Catalog” include Elizabeth Adams, Ph.D. ’14; Gregory Hallenbeck, Ph.D. ’14; Kelley Hess ’05; Lyle Hoffman, Ph.D. ’83; Shan Huang, Ph.D. ‘13; Michael Jones, Ph.D. ’16; Brian Kent, Ph.D. ’08; David A. Kornreich, Ph.D. ’01; Lukas Leisman, Ph.D. ’17; and Emmanouil Papastergis, Ph.D. ’14. 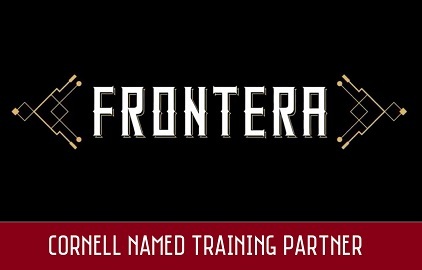 The ALFALFA team at Cornell has been supported by the National Science Foundation and the Brinson Foundation. 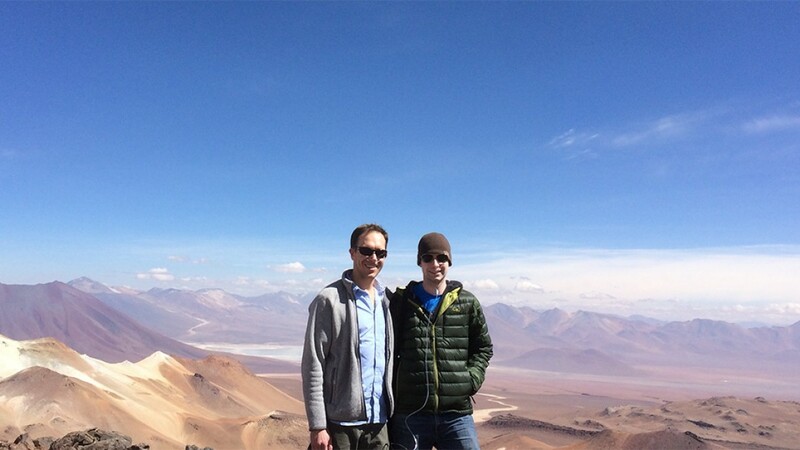 Professor Michael Niemack, left, and Cornell graduate student Nicholas Cothard near the top of Cerro Chajnantor and the future location of CCAT-prime at 18,400 feet elevation in Chile. Rendering of the Simons Observatory and CCAT-prime 6-meter aperture telescope design. Both telescopes are scheduled to be installed in 2020-21. Image courtesy of VERTEX ANTENNENTECHNIK. Teams of scientists, including researchers from the Cornell physics and astronomy departments, are collaborating on two of the largest telescopes ever built to take readings on the universe’s oldest light measurable, known as the Cosmic Microwave Background, or CMB. These telescopes will be placed in the Atacama Desert of Northern Chile and will give scientists new tools to record the earliest signals from the universe. “These telescopes will play a critical role in searching for signatures from gravitational waves in the early universe and measuring gravitational lensing of the CMB in coming decades,” said Mike Niemack, assistant professor of physics. The Simons Observatory, a collaborative effort of more than 40 institutions from around the world, including Cornell, recently announced it will be building one of these instruments; a new 6-meter aperture telescope in Chile in addition to multiple 0.5-meter aperture telescopes to measure the CMB polarization. 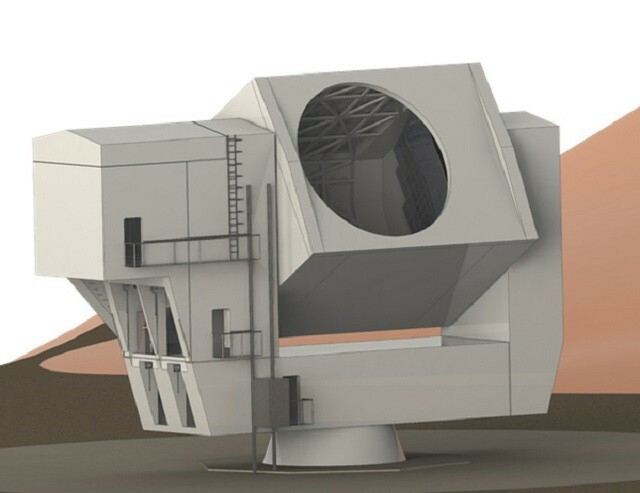 These new telescopes will be built concurrently with the Cornell-led Cerro Chajnantor Atacama Telescope-prime (CCAT-prime), announced last year. The CMB, which formed 380,000 years after the Big Bang, is flush with information about the exponential expansion of the universe a fraction of a second after the Big Bang. During this expansion, powerful gravitational waves propagated through space. Later, the gravitational waves left signatures on the CMB that have the potential to reveal vital information about the physics that drove the initial expansion. With the Simons Observatory, scientists will search for these signatures by combining CMB measurements from both the 6- and 0.5-meter aperture telescopes, which could rule out a large number of theoretical models and point physicists toward an accurate description of the high-energy physics of the early universe. are based on a configuration that was first proposed in the 1970s by Corrado Dragone of Bell Labs, and tailored by Niemack and colleagues for telescopes of this large scale. Each immense telescope will consist of two high-precision reflective mirrors with a 6-meter (nearly 20-foot) diameter. This design allows for an expanded field of view across the sky to enable ultra-precise CMB measurements, thereby reducing uncertainty in measurements of fluctuations in the temperature and polarization of CMB light, a benchmark in the field of cosmology. 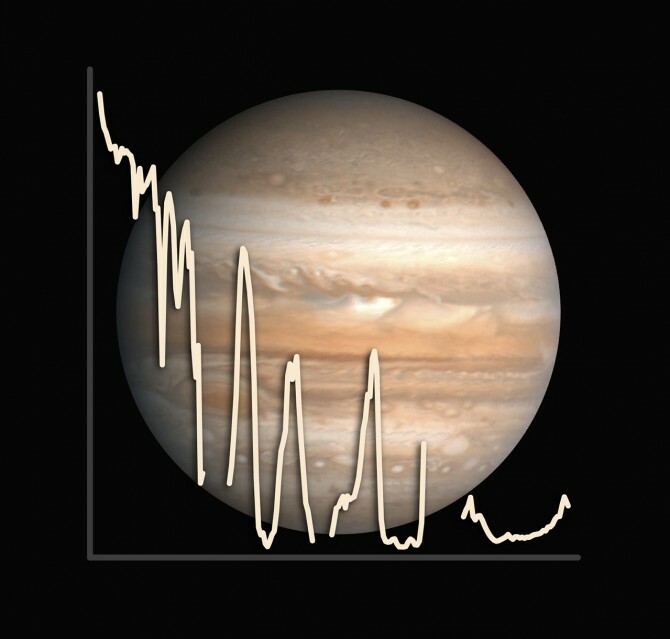 The speed with which scientists can reduce this uncertainty is directly proportional to the number of detectors that they can deploy in each telescope. These two telescopes combined will be able to house 10 times more detectors than any current telescope. Prior to this new design, collaborations were looking to simply build more telescopes with current technologies in order to capture the same amount of information as these two instruments. The Simons Observatory telescope is optimized for CMB polarization surveys. It is designed to observe wavelengths of 1 to 15 millimeters, where the far-off cosmic signals are most easily seen. In addition to the 6-meter aperture telescope, the Simons Observatory is building 0.5-meter (20-inch) aperture telescopes optimized to search for gravitational wave signatures. These measurements are complemented by CCAT-prime, which will pursue measurements at some overlapping wavelengths, even shorter submillimeter wavelengths, and spectroscopic measurements to study a variety of different astrophysical phenomena. 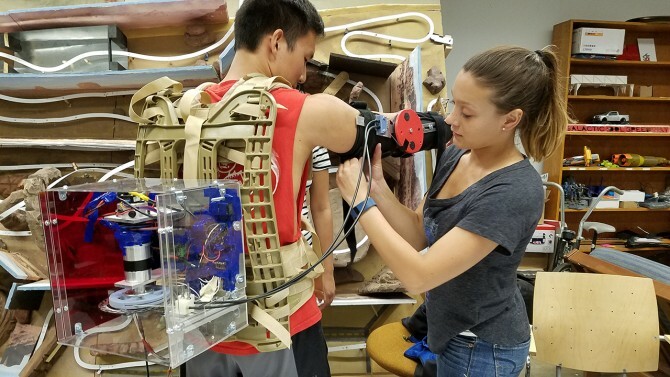 Cornell graduate and undergraduate students are working with faculty on developing the science cases and instrumentation for both Simons Observatory and CCAT-prime. The inventive “crossed-Dragone” optical design of each telescope will deliver a wide field of view capable of illuminating more than 100,000 millimeter-wavelength detectors, and many more at submillimeter wavelengths, so that large areas of the sky can be scanned rapidly. Both instruments will be placed at high elevations in the Atacama Desert of northern Chile, the current home of the Atacama Cosmology Telescope (ACT) and the Simons Array. Here, the CMB can be observed with lower noise, due to the reduced oxygen and water in the atmosphere. The Simons Observatory telescope will be located next to the ACT at 17,000 feet above sea level, while CCAT-prime will be built near the top of Cerro Chajnantor, at 18,400 feet above sea level. Both the Simons Observatory 6-meter telescope and CCAT-prime are being designed and built by Vertex Antennentechnik GmbH, furthering the efficiency of design and collaboration between the two projects. The construction phase is scheduled to start in late 2018 and is expected to lead to “first light” for both projects in 2021. Each has its role to play in CMB research while also serving as crucial test beds for further developments in astronomical instrumentation. While Cornell is the lead institution of CCAT-prime and also a major collaborator in the Simons Observatory, Niemack explains that there is a conscious effort to minimize competition between the two projects. The Simons Observatory is primarily supported by the Simons Foundation, the Heising-Simons Foundation and other member institutions. 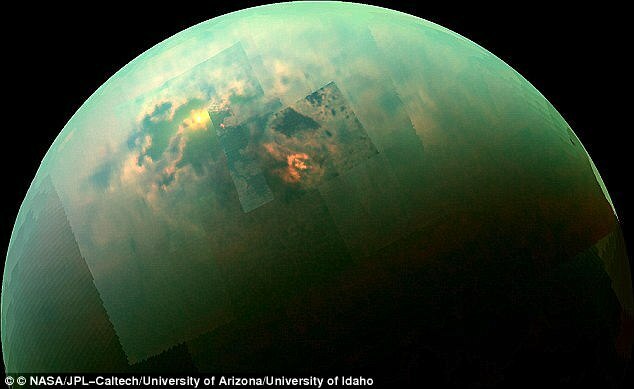 Creating the map took about a year, according to doctoral student Paul Corlies, first author on Titan’s Topography and Shape at the End of the Cassini Mission. The map combines all of the Titan topography data from multiple sources. Since only about 9 percent of Titan has been observed in relatively high-resolution topography, with 25-30 percent of the topography imaged in lower resolution, the remainder of the moon was mapped using an interpolation algorithm and a global minimization process, which reduced errors such as those arising from spacecraft location. The second paper, Topographic Constraints on the Evolution and Connectivity of Titan’s Lacustrine Basins, finds three important results using the new map’s topographical data. The team included Hayes, Corlies, Birch, Poggiali, research associate Marco Mastrogiuseppe and Roger Michaelides ’15.